Here are some facts about Balmoral Castle. Balmoral Castle is located in Royal Deeside, Aberdeenshire, Scotland. It is a large estate house and it’s been one of the Royal residences of the British monarchy since 1852. Balmoral was purchased by Prince Albert, husband of Queen Victoria. 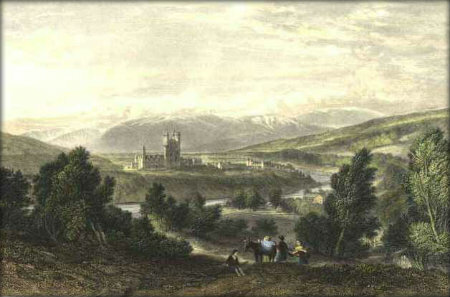 Prince Albert helped architect William Smith design the current Balmoral Castle. The Balmoral Estate is now over 50,000 acres, and includes grouse moors, agricultural land and forests. A pre-fabricated iron building was made for Balmoral after Prince Albert had seen corrugated iron used for house building at the Great Exhibition of 1851. A bridge across the River Dee was designed by Isambard Kingdom Brunel, linking Balmoral and Crathie. The construction was finished in 1857. Balmoral Castle is built from granite. Malt whisky (the Royal Lochnagar Single Malt) is distilled on the Balmoral Estate. There are over 150 buildings on the estate. More than 2000 red deer are thought to live on the estate. At the time of Princess Diana’s death, Queen Elizabeth II was at Balmoral. An image of Balmoral Castle has appeared on £100 notes issued by the Royal Bank of Scotland. A pyramid-shaped cairn was built on the estate after the death of Prince Albert to act as a memorial. What next? Learn more about other famous castle and palaces in the United Kingdom.